Action Civics LA is a non-profit, non-partisan youth leadership organization that partners with schools and educators to create pathways for students to get involved with their communities and participate in the democratic process. A few months before the showcase, Action Civics LA community partners entered the classrooms of the selected schools that they were partnered with in order to present students with the challenge of creating a plan to better their community. During their fall semester, students grouped with one another to find and focus on issues that they were passionate about as well as create a call to action speech. From there, they worked on action projects geared around said issues with the intent of presenting at the Action Civics Showcase. The work presented by these students emulated a passion and drive for making a difference in our society. Projects ranged from that of social justice — gun reform, helping the homeless, and immigration — to general advocacy for a multitude of other issues — obesity, mental health, the environment. Gonzalez and her group created a project revolving around undocumented immigrants and the Deferred Action for Childhood Arrivals (DACA) policy. Personally impacted by President Donald Trump’s decision to phase out DACA, this group decided to create awareness for the problem by sharing stories of undocumented teenagers. During the judging portion, students presented their projects to community guests and received feedback on how to improve upon them. Through this, students learned not only how to educate onlookers about their subject matters, but also how to more adequately advocate for a change in their status quo. After a short speech by LA City Councilman David Ryu, groups were awarded civic expert badges relating to community, research, and action. McMullin and her other organization leaders concluded the event with encouragements for students to continue furthering their proposals for the community. 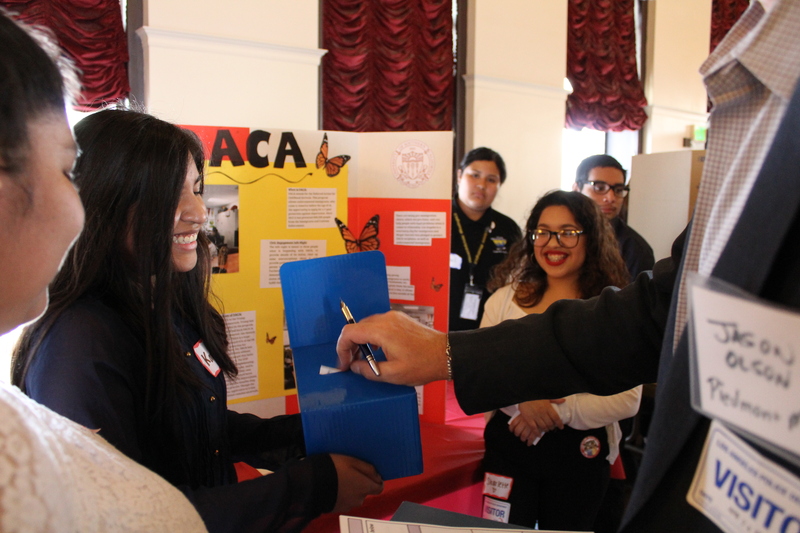 In the future, Action Civics LA hopes to expand the showcase to a bigger location in order to include more students from different schools. Their goal is to reform the current civics education curriculum taught in schools to include active participation in the democratic process.